A captivating, atmospheric return to historical fiction that is every bit as convincing and engrossing as Martin's landmark Mary Reilly. In 1872 the American merchant vessel Mary Celeste was discovered adrift off the coast of Spain. Her cargo was intact and there was no sign of struggle, but the crew was gone. They were never found. This maritime mystery lies at the center of an intricate narrative branching through the highest levels of late-nineteenth-century literary society. While on a voyage to Africa, a rather hard-up and unproven young writer named Arthur Conan Doyle hears of the Mary Celeste and decides to write an outlandish short story about what took place. This story causes quite a sensation back in the United States, particularly between sought-after Philadelphia spiritualist medium Violet Petra and a rational-minded journalist named Phoebe Grant, who is seeking to expose Petra as a fraud. Then there is the family of the Mary Celeste's captain, a family linked to the sea for generations and marked repeatedly by tragedy. Each member of this ensemble cast holds a critical piece to the puzzle of the Mary Celeste. These three elements - a ship found sailing without a crew, a famous writer on the verge of enormous success, and the rise of an unorthodox and heretical religious fervor - converge in unexpected ways, in diaries, in letters, in safe harbors and rough seas. In a haunted, death-obsessed age, a ghost ship appearing in the mist is by turns a provocative mystery, an inspiration to creativity, and a tragic story of the disappearance of a family and of a bond between husband and wife that, for one moment, transcends the impenetrable barrier of death. The captain and his wife were asleep in each other's arms. She, new to the watery world, slept lightly; her husband, seasoned and driven to exhaustion the last two days and nights by the perils of a gale that shipped sea after sea over the bow of his heavily loaded vessel, had plunged into a slumber as profound as the now tranquil ocean beneath him. As his wife turned in her sleep, wrapping her arm loosely about his waist and resting her cheek against the warm flesh of his shoulder, in some half-conscious chamber of her dreaming brain she heard the ship's clock strike six bells. The cook would be stirring, the night watch rubbing their eyes and turning their noses toward the forecastle, testing the air for the first scent of their morning coffee. The ways in which multiple stories can connect and tangle to create larger meaning. The conclusion suggests a satisfying resolution. Valerie Martin's novel is transportive, a haunting tale not to be missed. (Reviewed by Sarah Sacha Dollacker). [A] sly and masterly historical novel, a page-turner written with intelligence and flair. Martin, who won Britain's Orange Prize for her historical novel Property, slips into the 19th century with the ease of a time traveler. Her period set pieces are superb. . . . The mystery remains, but thanks to Martin’s ingenuity, the narrative possibilities seem endless. Martin is less concerned with exploring theories about what actually happened than in the repercussions of the baffling disappearances, in a manner that will remind some of the Australian writer Joan Lindsay. 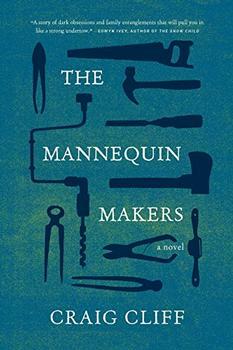 Martin has wound the disparate threads of her novel into a haunting personal drama. A haunting, if sometimes slowly paced, speculative look at a long-unsolved maritime mystery and the unsettling relationships between writers and their subjects. Starred Review. Martin's seafaring story contains history, suspense, and heartbreak in equal measures as it slowly builds to an enigmatic conclusion. Highly recommended. "Valerie Martin is a writer of immense talent and insight. Her latest novel weaves a beautiful tale of loss, love, and the connections that link us . . . The Ghost of the Mary Celeste offers readers a riveting cast and evocative prose. The Ghost of the Mary Celeste is a wonderfully ingenious novel, compelling, convincing and exciting. I am halfway through this and already have to give it a great review! 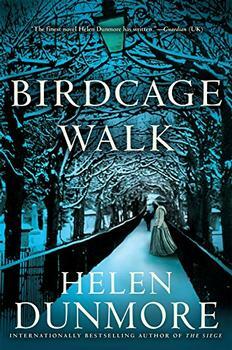 Weaving a deeply personal and moving story with a historical moment of critical and complex importance, Birdcage Walk is an unsettling and brilliantly tense drama of public and private violence, resistance and terror from one of our greatest storytellers. Playfully literate and strikingly original, an unforgettable debut novel about art, imitation, and obsession.